In a world of elves and dwarves and sprites and mages, Tane Carver is a human with no gift but his wits. Which, to be fair, did get him into the world's most prestigious university of magical technology. For a while. Until his lack of magic was discovered. And then it all came crashing down. But when a student is murdered on campus behind unbreakable wards, Tane gets a second chance. Solving an impossible crime should be easy for the man who fooled the university's best mages for years. Except he's not counting on the head constable being an old flame who isn't so fond of him anymore. Really fun story and well read to boot! Telryn "Trip" Yert has always been a little odd, with hunches that are too accurate to explain. Magic is feared and forbidden in Iskandia, so he's struggled his whole life to hide his eccentricities. As a boy, he was forced to watch his mother's execution. Her crime? Witchcraft. Understandably, Trip wants nothing to do with the power that lurks within him, always threatening to reveal itself. Instead, he dedicates himself to serving as an officer in the king's army, to battling pirates and imperial conquerors. He longs to become a soldier as respected and renowned as General Zirkander. My skill set brings all the girls to the yard. And by yard, I mean the temple of a young goddess who's using me to build a fortified city around herself before the god of war can finish slaying every deity in the heavens. He'd better not find us before we're ready. Spoiler: We're far from ready. enjoyable if you know what you are going into. In the time of the Ancients the universe was united - but that was so far in the past that not even memory remains, only the broken artifacts that a few Makers can reshape into their original uses. What survives is shattered into enclaves - some tiny, some ruined, some wild. Into the gaps between settlements, and onto the road that connects all human reality and the reality that is not human and may never have been human, have crept monsters. Two years after his parents' sudden disappearance, Ben Greenwood stumbles upon a cryptic letter that could shed some light on their whereabouts. But before he can track them down, he'll need to find the mysterious organization that sent the letter: The Royal Institute of Magic. 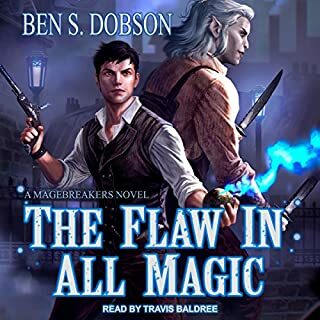 To succeed, Ben will have to navigate a land filled with fantastic creatures and spellshooters, where magic can be bought and sold, to unravel an ancient family secret that could hold the key to defeating an evil the institute has been fighting for the last 500 years. Ayrion has been training to fight since he was old enough to walk. As far back as he can remember he’s always had one dream - to be the youngest warrior of his clan. Unfortunately, Ayrion learns the hard way that being the best isn't always a good thing. 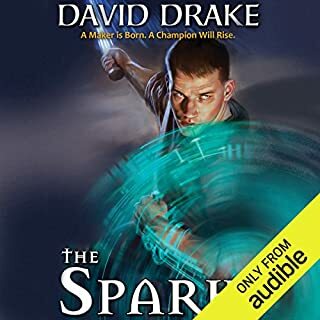 After a tragic accident rips away his dreams and leaves him without a home, Ayrion heads south to the capital city of Aramoor in hopes of starting a new life. That journey will test him in ways he had never expected, forcing him to use every ounce of his training just to stay alive. The world has changed since the news of Oriceran came out 20 years before. Now, countries all over the world have agreed to using a bounty system for dangerous criminals using advanced magic or advanced technology. Magical criminals, thugs, and bounty hunters in the future, people too powerful for the cops to deal with, will revert to what worked in the past. Alvin woke in a room that was not his, to discover that he had died and his brain had been bargained off cheaply to pay off someone else’s debt. It did not sit well with him. It didn’t surprise him that even in death, people were still using him for their own purposes. He had never exactly been a good guy, but everyone had their breaking point, and he had found his. The bastards in charge had uploaded his mind into a virtual death game. The whole world could now pay to see him play it and probably die. Regardless, he was not about to wait for death to come for him. If life has taught the jaded sellsword Aaron Envelar anything, it’s that hope is for fools and causes are a sure remedy for breathing. 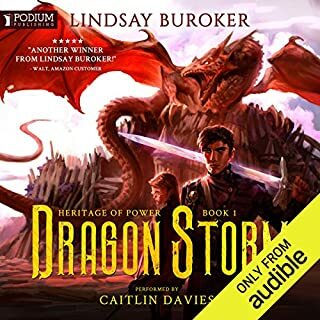 But when his latest job leads him to the corpse of a prince and a conspiracy that threatens to destroy the entire realm, Aaron is forced to choose sides in a war he doesn’t want, between forces he doesn’t understand. 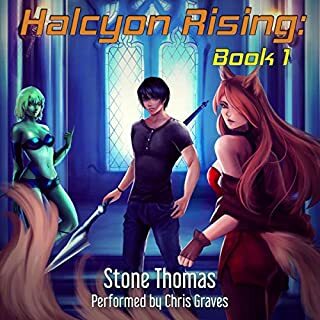 Thrust into a world of mythical assassins, a madman with superhuman strength, and a nagging ball of light with a superiority complex who claims to be the embodiment of compassion, Aaron takes on his hardest job yet - staying alive. Jason was a little short on creds, so he decided to get his mind scanned. It seemed like a good idea at the time: Get paid to license a copy of your mind for use in one of the numerous machines that run society. What could go wrong? Turns out, a lot. Jason wakes up in the middle of the radioactive wasteland that was created 50 years ago when aliens destroyed half the Earth. He has no idea why he's here, or what the hell he's supposed to do. Worst of all, he's no longer human. What would you do if an odd girl in a cloak told you, "You know you're a descendant of King Arthur's knight, Lancelot, right?" You'd probably do the same thing 14-year-old New Yorker Simon Sharp does. Back away nice and slow. But Simon learns the truth when he's kidnapped by a drunk troll, rescued by a 7 foot man named Merlin, and thrown into training with 149 other heirs of the Knights of the Round Table. Can Simon survive a prophecy that predicts the world will be saved through its destruction? 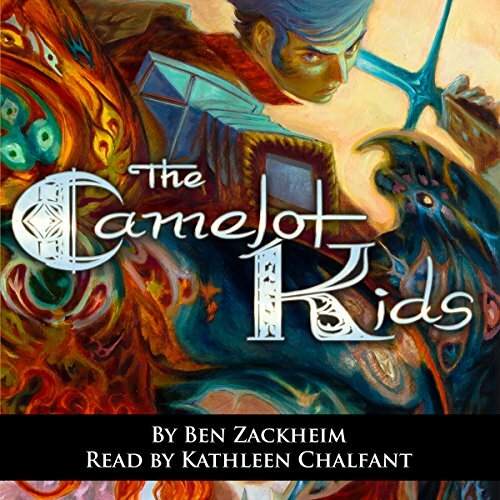 The Camelot Kids is about one boy's struggle to make it to tomorrow, in a world both real and fantastic. This was a rollicking good time. The humor is great. It is action packed. It is a fun listen for kids and adults. The action scenes are not too intense for younger listeners. It's one of those books that draws you in and lets you escape reality for a little while. This would be a great book to listen to with 9-14 year olds who think they don't like to read- it would definitely change their minds. I'm looking forward to the next book. 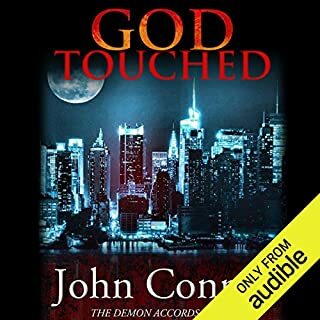 I received this audio book at my request by the author, publisher or narrator. For a unbiased review. I enjoyed this even though my first thought was when did Kyo Kara Maoh become a book on tape. The ending had me thinking the same but about Disney's Avalon High. I listened to this all in one day, it's a lot of fun. Great narration, instantly drew me in. A keeper I'll definitely be listening to it again and I can't wait for the next part. 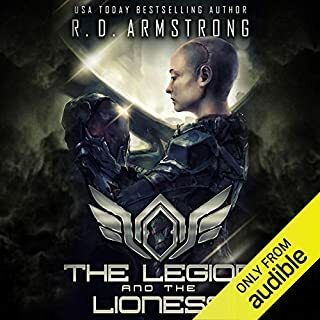 Action-packed, Easy-to-read, Entertaining, Funny, Great world building, Informative, Page-turner, Tragic, Twisted, Unpredictable, Whimsical, Wonderful characters. The plot develops swiftly, with some unexpected twists and turns, just like it should in a tale of this kind. There are fights and battles, and magic, all described in a vivid, imaginative way. And although it's the first volume in a series, it doesn't end with a total cliff-hanger - it stands well on its own, though definitely leads to the next part of the story. So it really is 4.5 stars for the interpretation. DISCLAIMER: I was given this free review copy audiobook at my request and have voluntarily left this review. I was given this free review copy audio book at my request and have voluntarily left this review. This book is definitely geared towards a younger audience, but I still found it entertaining. It was very reminiscent of the Percy Jackson series, but in the Arthurian Legend pantheon rather than that of the Greek Gods. It seemed like this was originally multiple small books in one boxed set. That isn't a criticism, but it seemed like there were multiple linear story lines in this book. If you are a fan of YA fantasy stories, this is definitely worth a credit. I really enjoyed this book. It started out a little slow but then picked up and I found myself really caring about the characters and what was happening to them. It’s so far a nice twist on a classic tale. It is definitely different then the books I normally read/listen to and that is a good thing! I did not like the narrator at first but then she kind of grew on me. It got much better as the book progressed. I will definitely be continuing this series!